Years ago, it was not necessarily customary for employers to conduct criminal record checks on their job applicants. Today, however, things have changed and business owners are that much more inclined to protect their assets and reputation. If you have a criminal record and you are not sure how it will affect your professional career, there are a few ways in which concivtions on your record like DUI, theft, fraud, and/or possession can hold you back. 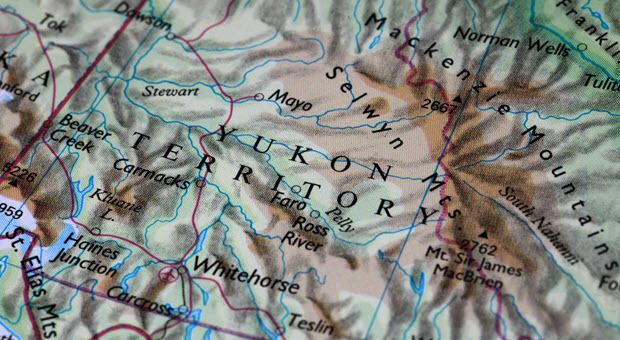 If you are a resident of Yukon Territory with a conviction on your criminal record, you will need to apply for a Canadian pardon right away. When you sign a job application form or employment agreement, you might be providing the employer permission to run a background check and look into your criminal record. This can seriously hinder your employment opportunities depending on the province in which you reside. Your prospective employer may not want to hire somebody with a DUI conviction or possession conviction. That said, you should never give up too easily. Thanks to pardons Canada, you too can start fresh and work your way up in a company. If you have worked for the same employer for a number of years, you might think that you are no longer vulnerable to such checks. Your employer could be entitled to run criminal record checks on any and all employees even after an employment contract is signed. In other words, if a criminal record check was not done when you were employed but the employer has decided to make it standard practice, you could lose your job if you have not requested record expungement or a Canadian pardon. If your criminal conviction in any way undermines your reliability in your position, you could be dismissed. For example, a fraud conviction or theft conviction can make you unsuitable or undesirable for a position in the accounts or financial department of a business. You can start a business if you have a criminal record but you need to understand that your record can make potential customers or business partners a bit sceptical of doing business with you. For example, if you were convicted of fraud, they could think twice before investing in your venture. Fortunately, pardons Canada can help clear your record so that your fraud conviction or theft conviction no longer affects your success as a business owner. Even if your employer is not legally able to fire you based on your criminal record, they could block your growth with the company. By limiting your growth opportunities, it can make your working environment unpleasant. Federal Pardon and Waiver Services can help you obtain a pardons Canada for your DUI conviction or possession conviction so that you are no longer held back by a past indiscretion. If an employer pays insurance against the risk of employee theft and other crimes, you might not be insurable because of your criminal record. If you are insurable, it could cost the company more and this will make you a less desirable candidate for the position. Which careers require criminal record checks? Whether you are planning on applying for a new job or you would like to move up the corporate ladder at your current workplace, you need to make sure that you have a clear record. For pardons Canada services you can rely on, call Federal Pardon Waiver Services 1 (800) 543-2137. From obtaining your RCMP file to submitting the application, we are dedicated to seeing you through your pardons Canada process.